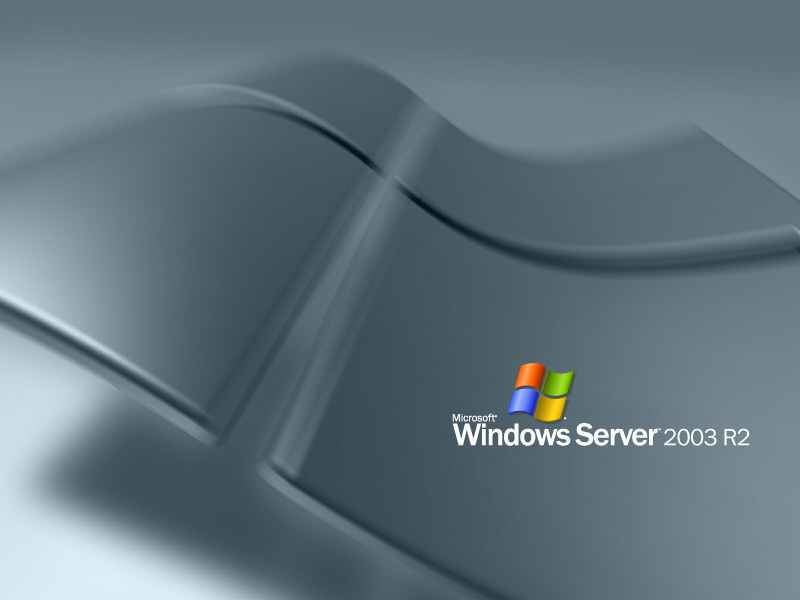 In Part 2, we created a plan that maps out the migration from Windows Server 2003. Now we are at the point where we need to build what we designed. Notice how in all the blogs concerning decommissioning 2003 that I use the words ‘migrate’ and ‘migration’ and not upgrade? I probably should have discussed this sooner, but there is no upgrade. You cannot upgrade 32-bit Windows 2003 to 64-bit 2008 R2 or 2012 R2. No matter your plan and budget, you will need to perform a fresh install on at least one server to start the process. Also, it would be wisest to go to 2012 R2 for many reasons (particularly not having to repeat this process when 2008 reaches end-of-life). For some migration paths, you may need to install at least one 2008 server to go from 2003 to 2008 and then to 2012. The best place to start would be a test/development environment. We know from experience that there are many smaller shops out there that do not have the budget to create a development environment. Most of them are going to rely on the expertise of their staff or outside services to get their environment from where it is now directly to an updated infrastructure without performing a lot of tests. For those environments, remember to at least do extensive planning and research beforehand to mitigate issues. For those that can build a development environment, the best way to do it is virtualization (there I go again using that word). Remember that you can make a virtual server host out of various hardware platforms. You can even install a robust hypervisor for free. To give you an example, my laptop has an extra drive that I swap instead of the DVD drive. I then manually boot to the extra hard drive where I have XenServer hosting over a dozen VMs. Is it powerful? Not really, but I can run my demo environment from it. The point is we don’t need to break the budget to make a development environment. We may not even need to touch any of the budget. If you did budget for a new virtual environment or to extend an existing one, here is where you can start utilizing that new investment. P2V (physical to Virtual) machine images of your existing infrastructure servers. From there, you can fire up a new virtual machines (VMs) housing 2012 R2 and/or 2008 R2. Once you have the test environment, take snapshots of all the VMs before making any changes. Now you can begin the process of converting your virtual infrastructure in a development environment. If you run into issues, you can utilize the snapshots to reset the environment and try again. Take detailed notes of all the steps and pay attention to any potential problems. Once you have a clear plan with detailed notes, you are less likely to run into the unexpected when updating your production environment. So, what exactly are we testing in our development environment? There are basic services that almost every shop is going to be utilizing. Active Directory, DNS, and DHCP are the three most common services we will need to migrate to another server. The good news is that detailed directions from Microsoft and other experts can easily be found on the web. Some organizations are going to have the basics and some are going to have more services in use. For instance, some organizations may utilize Terminal Services. Migrating that to Remote Desktop Services (RDS) will be a project in itself (though a worthwhile one). Each organization is different, so they may have some or all of the items from the above list. A lot of organizations will have more to add to the list. Aside from these services that come in a Windows server, we will need to test hosted applications. This set of blogs has been pretty much focused on the Active directory side of the migration, but what about applications? If you have Exchange, SQL, or another enterprise application hosted on a 2003 server, you are going to need a separate project just to migrate those applications. This may be the opportunity to move from in-house mail services to a cloud-hosted solution like Office 365. It is possible to focus on upgrading our Active Directory infrastructure first and saving the applications hosted on 2003 servers for a later project. However, research the applications to make sure they will still function in an updated AD infrastructure. If not, that is one of those symmetrical projects you will need to have in your plan. The next step will be implementation into production. At this point, we are ready. We have performed tests in our development environment, gained experience in the tasks, created detailed instruction sets, and realized modifications needed in our plan. As always, I welcome your comments or questions. Please feel free to leave them below or email me directly. Also, be sure to bookmark our site for more information from Microsoft. Also, please be sure to register for our live, Microsoft event – Windows Server 2003: Security Risk and Remediation on February 18. On July 14, 2015, Windows Server 2003 Microsoft support will end. Meaning, after that date, there will be no more security fixes, hot-fixes, patches, or any other type of development for Server 2003 from Microsoft. It also means that if you have an issue and call in for Microsoft support, they will no longer open a support case for you. To find out the information from the source and to get ideas on how to move forward, click here. Over the next few months, we will be presenting blogs with information on migrating from Windows Server 2003. In this blog I am going to discuss a topic that is a major factor in migration. One of the key points involved in moving off the Windows 2003 platform is going from 32-bit computing to 64-bit. 32-bit and 64-bit computing refer to a change in the instruction set for processors (CPUs) and how processors handle memory. Bits (binary digit) refer to the smallest units of computer data (a value of 1 or 0). As the number of bits in a computational value increase, the amount of data the value can hold increases. A 64-bit value exponentially holds a greater amount of data than a 32-bit. This difference is exhibited the most in physical memory addressing. The key differences of 64-bit computing over 32-bit computing is more memory. Memory limits in 32-bit Windows Operating Systems (OS) depended on the version in use and the 32-bit address space. Windows Server 2003 Standard had a limit of 4GB of memory, while Datacenter and Enterprise had a 64GB limit. In a 64-bit world, the Windows OS version still controls memory limits, but the 64-bit address bar has been raised. Windows Server 2012 Standard and above have a memory limit of 4TB. In fact, hardware is actually the primary limiting factor over software. There is a Windows Server 2003 64-bit edition, but the adoption rate of that version was extremely low. The vast majority of Windows 2003 Server implementations were 32-bit. This happened for a number of reasons. The 64-bit server product was bleeding edge when it was introduced. Until Windows Server 2008, development for 64-bit products was not mainstream. Few software vendors factored in 64-bit compatibility in their code until Windows Server 2008. On the consumer side, 32-bit was the comfortable norm and 64-bit was factored in only when there were obvious gains. Requirements and advantages in Exchange and SQL were some of the primary factors for using the 64-bit version of 2003 over the 32-bit version. The number of users you could connect to one server through terminal services was greatly increased, but then you had to make sure that you were using software that worked in 64-bit terminal services. So, what does all this mean in relation to migrating off Windows Server 2003? Compatibility. Will the software we have running in Windows Server 2003 work in 64-bit 2008 or 2012 servers? Will we have software drivers available on 64-bit that are as comprehensive as the ones we used in 32-bit systems? 64-bit servers are backward compatible and will run 32-bit applications, but not all 32-bit applications are 64-bit compatible. Applications with high resource demands probably moved towards 64-bit computing a while ago to take advantage of the increase in memory and processing power. However, we still have the issue of legacy software. We may only have licenses for a certain version of an application. We may need to pay for licensing of a later version. Or the licensing was based on the server OS. For instance, our 2003 Terminal Server CALs will not work with 2008 or 2012. We will need new licenses for that. What if there is no upgrade for that legacy system that will only work on a 32-bit system? All software issues will need to be researched and a plan developed to move forward. Look for upcoming blogs, where we will discuss the research and testing needed, peripheral drivers (printers, scanners, etc. ), SQL and Exchange requirements, backup solutions and more. Stay tuned and as always, please feel free to post your questions or comments below. You can also email me directly.